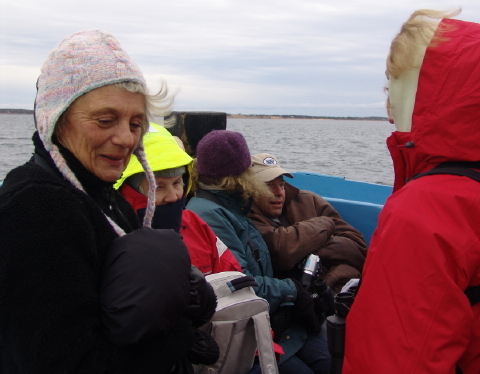 Turtle Journal and Wellfleet Bay Wildlife Sanctuary led a November cruise to Billingsgate Shoals at the mouth of Wellfleet Bay as part of the Stranding Weekend Program offered by Mass Audubon. 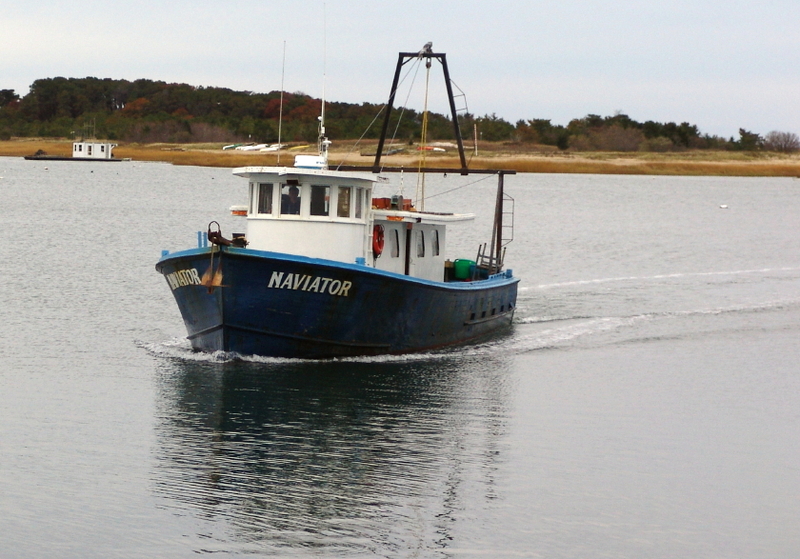 After completing an afternoon of quahog harvesting in the bay, Captain Rick Merrill skippered the Naviator into Wellfleet Harbor to pick us up for the cruise. 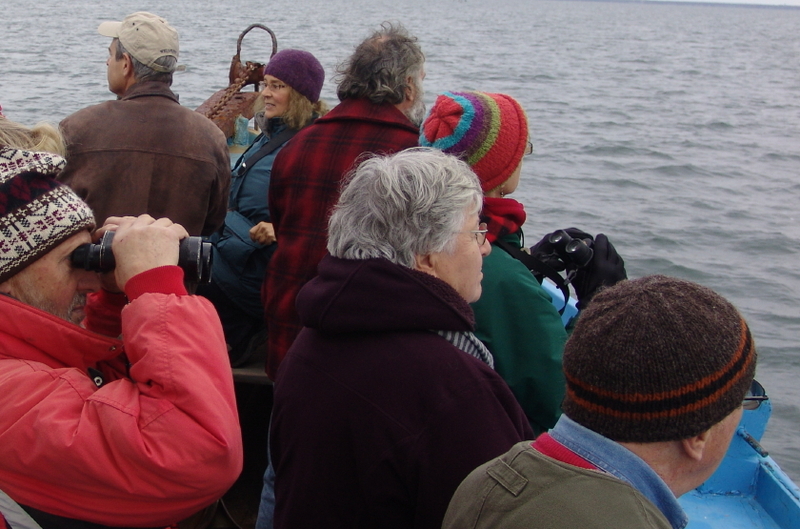 During spring and summer, the Naviator conducts exceptional marine life cruises with Mass Audubon naturalists aboard to help visitors explore the wildlife of Wellfleet Bay. Rick also charters the Naviator for fishing trips during season. 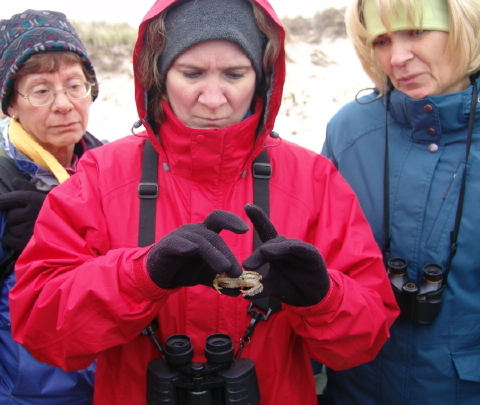 Turtle Journal’s Sue Wieber Nourse and Mass Audubon Dennis Murley, Stranding Weekend instructors, helped participants identify significant aspects of the Wellfleet Bay habitat and pointed out various wildlife species during the cruise. 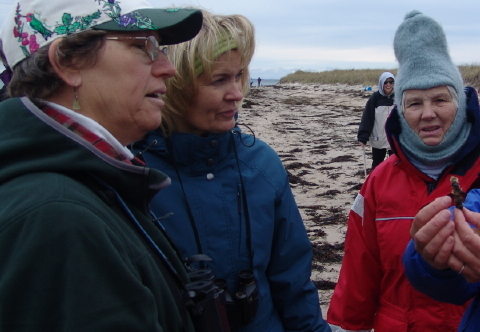 Collectively, they bring two lifetimes of experience as scientist, researcher, naturalist, adventurer, educator, conservationist, rescuer and explorer of Cape Cod geology, geography, history, flora and fauna. 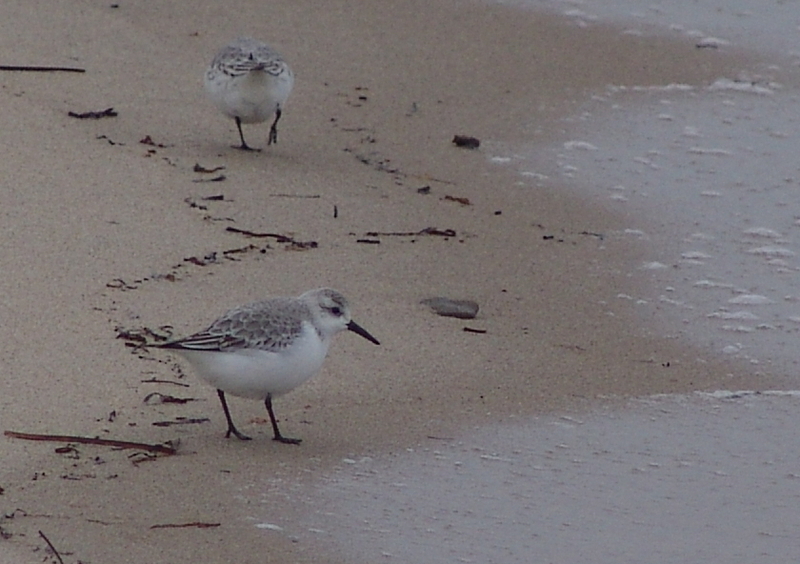 We met on Wellfleet Pier a little after 3 pm. Stranding Weekend partcipants were joined by other Mass Audubon visitors for a cruise of Wellfleet Bay. Before boarding the Naviator, Dennis Murley reviewed safety procedures, introduced instructors and provided a preview of what to expect. While an important focus of the Stranding Weekend was tropical and semi-tropical sea turtles, the layered dress of participants clearly indicated that this cruise was anything but a tropical event. 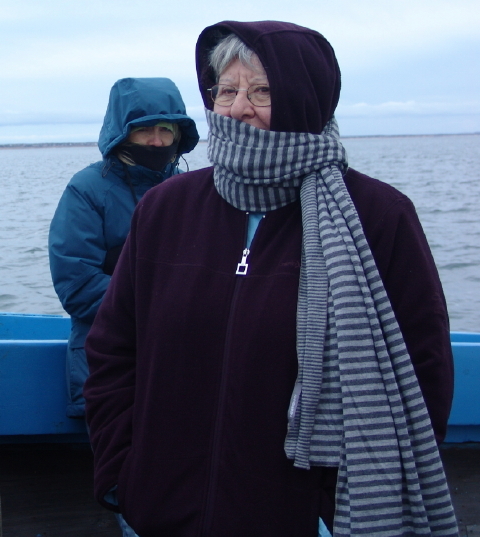 Winds blew from the north bringing in a gripping Arctic chill, especially when the boat cleared Wellfleet’s protected harbor and tacked into the breeze. The Naviator backed from its slip and cruised by the working fishing fleet tied to the town pier. We cruised west through the channel, pointed at Griffin Island (right) and Great Island (left), connected by the low tumbolo called the Gut. Once past the breakwater, the Naviator turned south (left) toward Billingsgate Shoals. When we were heading north, the apparent wind transformed conditions aboard ship to a Shackleton expedition. Passengers ducked low under protective bulwarks and huddled together for warmth. In Search of Tropical Sea Turtles! They wrapped themselves in winter scarfs and hoodies, thrust hands deep inside the warmest pockets, and they endured … in best Shackleton tradition. But when the boat pointed south with the wind to our backs, decks came alive. Binoculars scanned the horizons for shorebirds and water fowl. 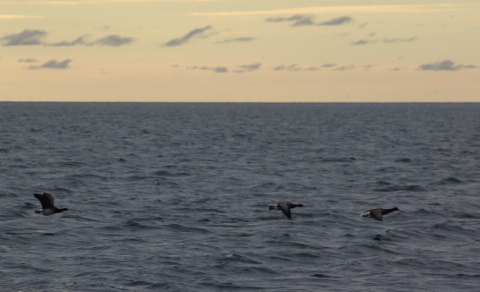 Loons, gulls, gannets, ducks, geese and many more species dotted the horizon, which had begun to turn pinkish orange as an early dusk swept over Cape Cod Bay. 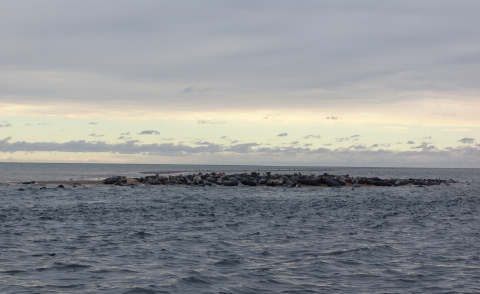 Billingsgate Shoals rise from Cape Cod Bay each low tide. A century ago this once 60-acre island was still inhabited as a fishing community. 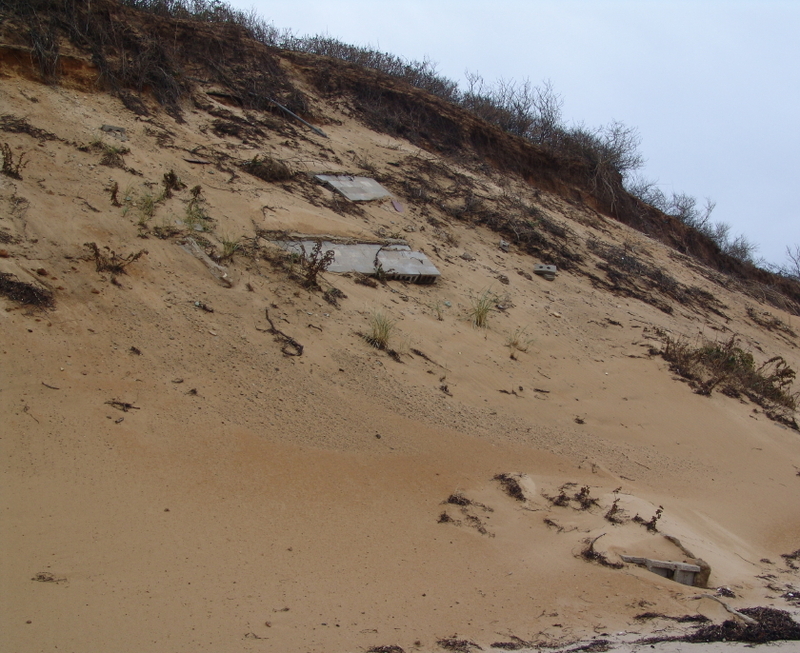 But the ravages of erosive storms sank the island below Cape Cod Bay; the last lighthouse abandoned and destroyed in 1915. 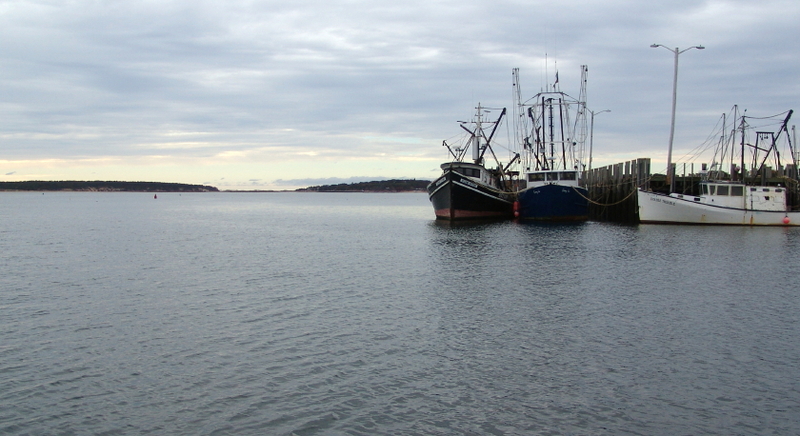 Today, Billingsgate is sometimes called the Atlantis of Cape Cod by oral historians and folklorists. Day trippers boat to the shoals to use its exposed tidal flats for picnicking and shellfishing. Eel grass beds around the shoals are rich in striped bass schoolies and blues in season. 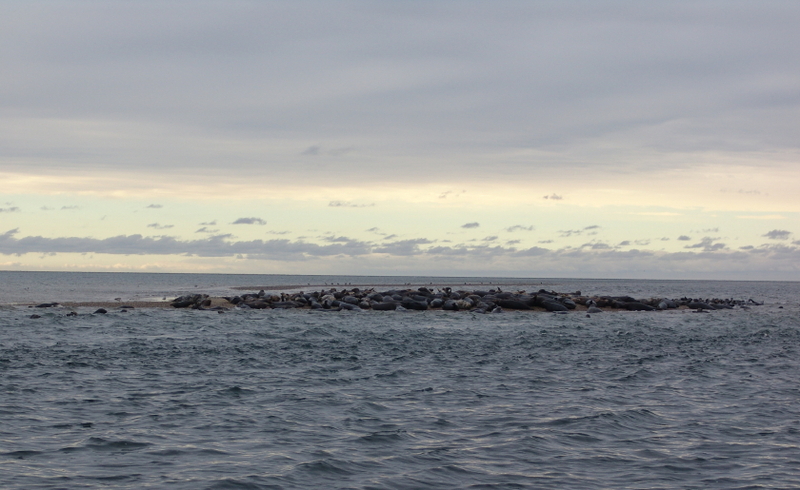 In the “off season,” another set of tourists arrive to exploit the low-tide exposed sandbars: gray seals. 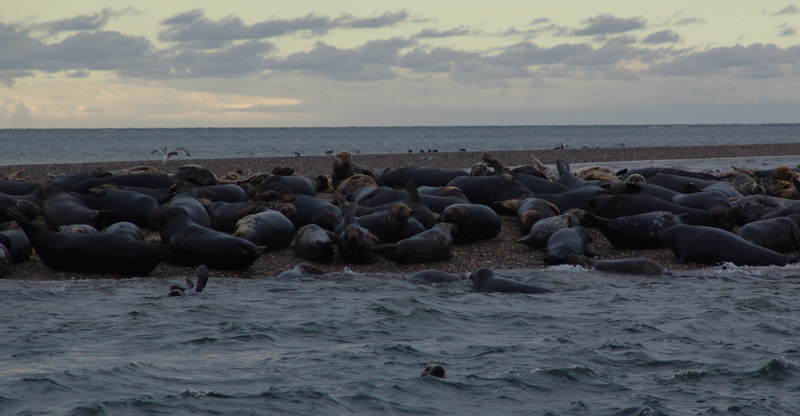 As we approached the shoals on Saturday, hundreds of seals, backlit by the rapidly setting sun, had already claimed prime spots on just emerging sands. Hauled out on the tidal flats, plump, well nourished seals spread their ample bodies across the sandbar, occasionally belly-crawling a few feet left or a couple of inches right or flopping a bit up or a tad down to optimize their level of comfort. 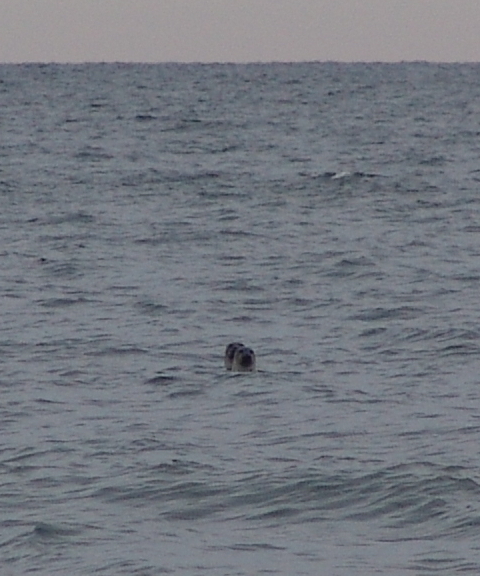 In the fast flowing current around the island, seals played and wrestled and surfed. A few curious and courageous individuals spy-hopped their way toward the Naviator to examine the exotic critters (us) basking on this mysterious floating island. Come to think of it, with layers of clothing triple and quadruple wrapped around our bodies, perhaps we too waddled like seals as we spy-hopped above our bulwarks to examine the exotic creatures luxuriating on their mysterious rising island. Yes, I suppose the correct definition of ”specimen” and “observer” depends on which side of the zoo’s bars you’re occupying. Shackleton would be proud that we returned to harbor with a full complement of crew, eager to endure yet another “on the edge” adventure during Stranding Weekend. 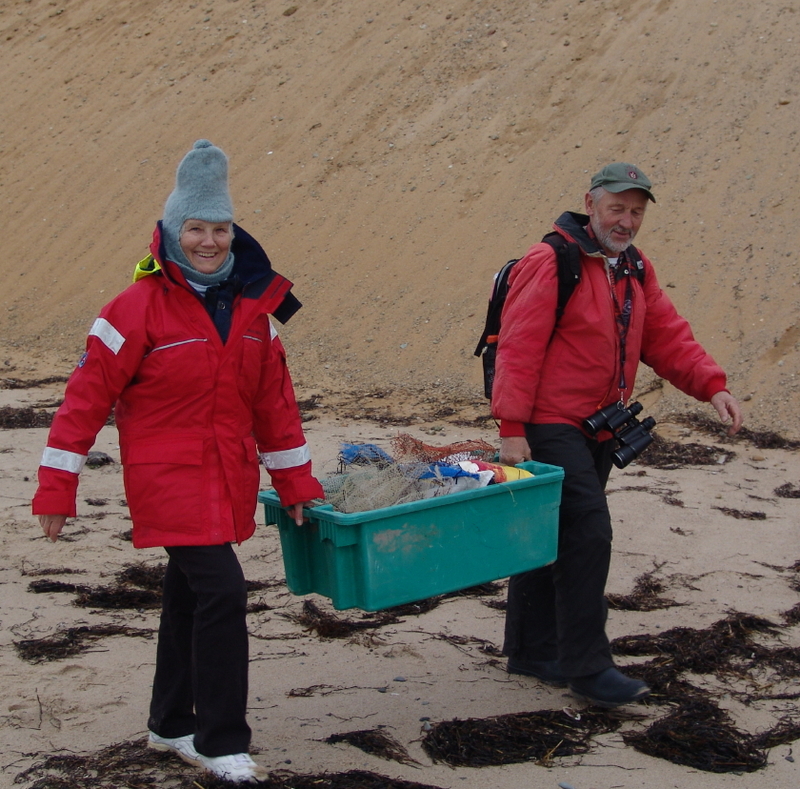 Saturday morning of Stranding Weekend opened with a beach patrol. 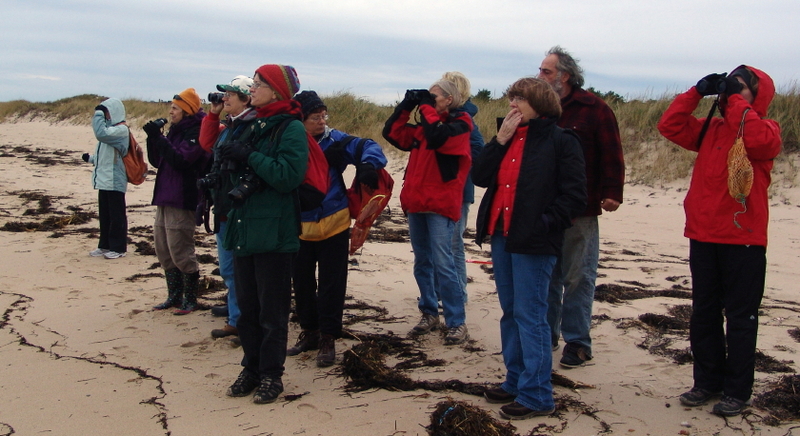 Participants and instructors vanned to Duck Harbor in northwest Wellfleet on Cape Cod Bay. 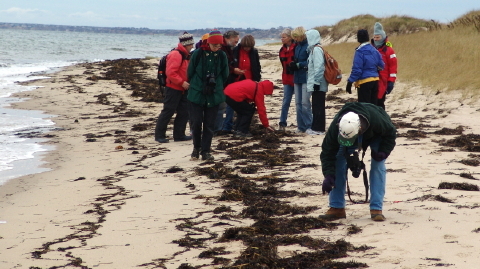 With winds blowing north-northwest, the group trekked south from Duck Harbor to Great Island. 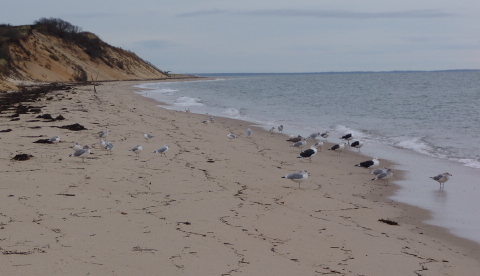 This long peninsula protects Wellfleet Bay to the east from prevailing storms that march relentlessly west-to-east across New England. It also “catches” cold-stunned sea turtles as they are tossed by the prevailing winds onto the shoreline of Cape Cod Bay. 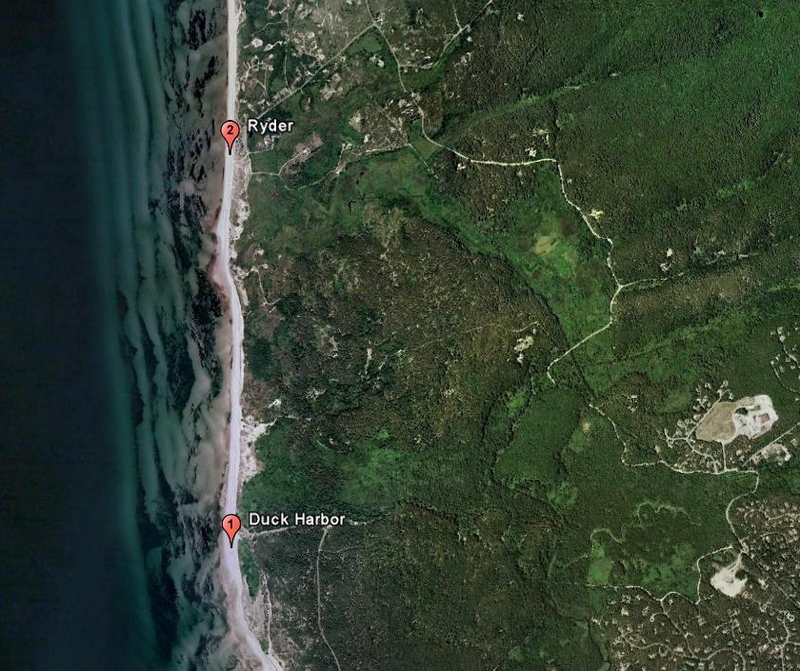 Duck Harbor is no more, but perhaps may rise again. Around the turn of the last century, the flow of salt water from Wellfleet Bay and the Herring River was choked by a dike in Chequessett Neck. The former islands of Griffin and Bound Brook and several others, which once were separated by salt marshes and brackish branches of the Herring River, exist now in name and memory only. The photograph above looks north toward Bound Brook “Island” with Duck “Harbor” only imagined in the darkened, low-lying vegetation where toads now emerge in spring rains. 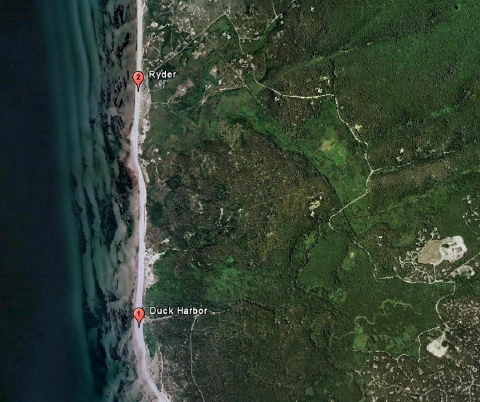 Perhaps, after decades of “planning,” the offending dike will finally be replaced. Marshes will flourish again as habitat for dwindling populations of herring and terrapins, and a critical eco-system will be restore. 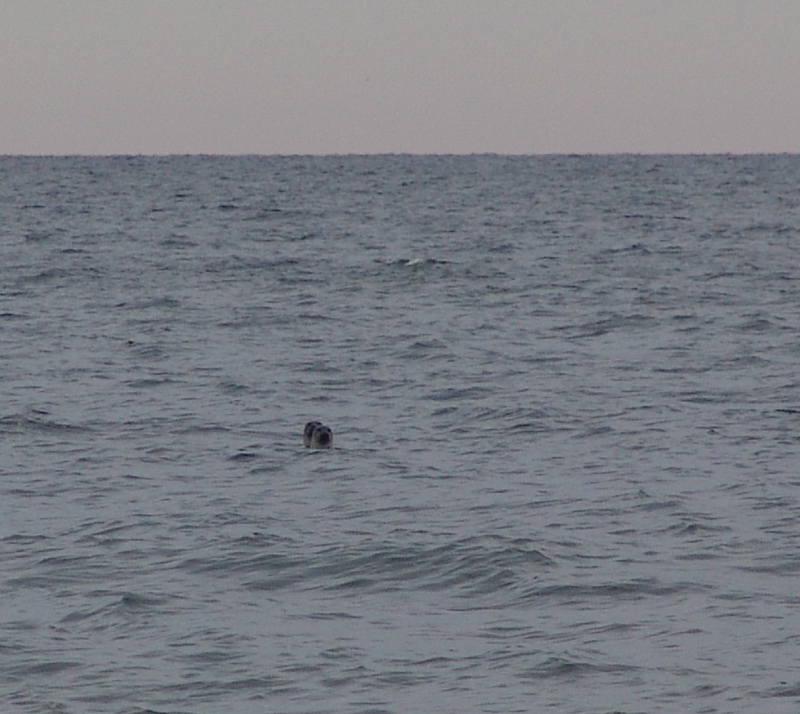 What’s That in the Bay? On reaching the beach we surveyed the coastal scene. 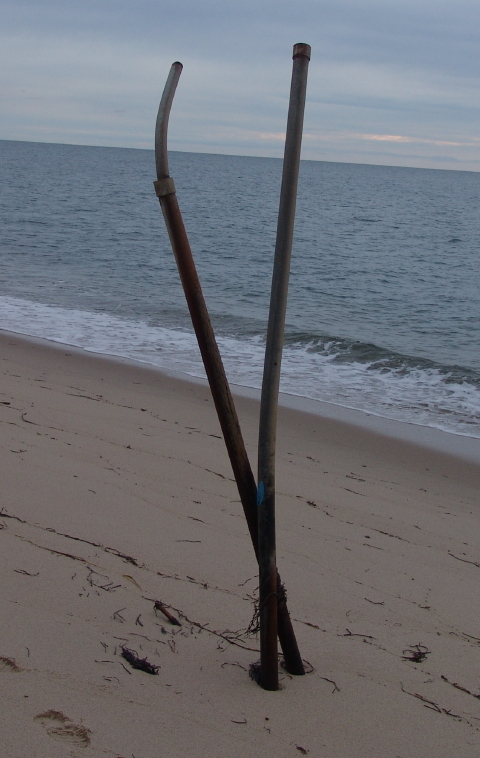 Provincetown, distinctively emblematic with its Pilgrim Monument, rose above bay waters to our right. 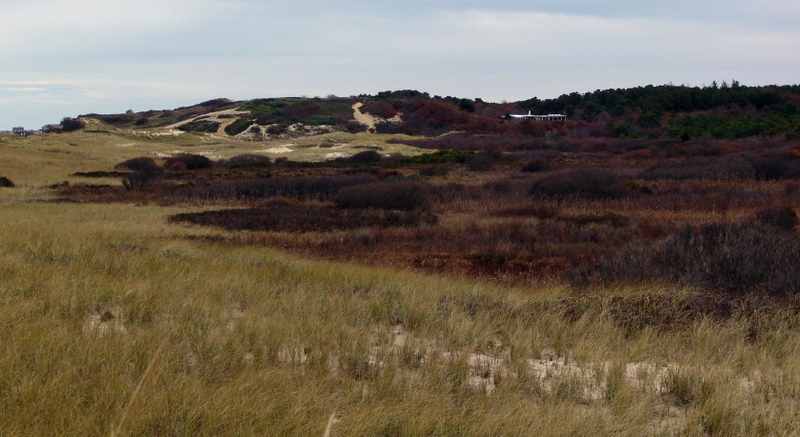 Invisible across the cloud covered bay lay Plymouth where Pilgrims settled after their brief stay on Outer Cape Cod. I guess the Cape had already become a “relaxing vacation spot” nearly four hundred years ago. 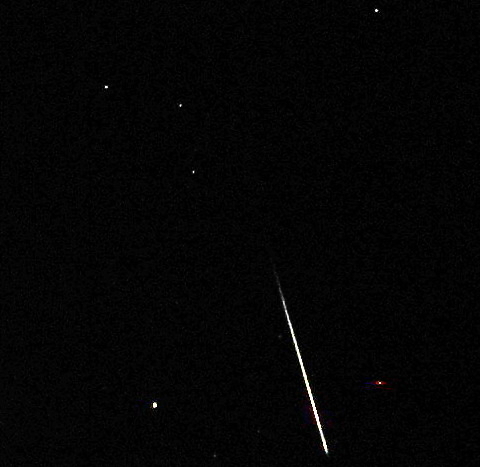 “What’s that?” exclaimed the chorus of adventurers as binoculars sprung to the ready. 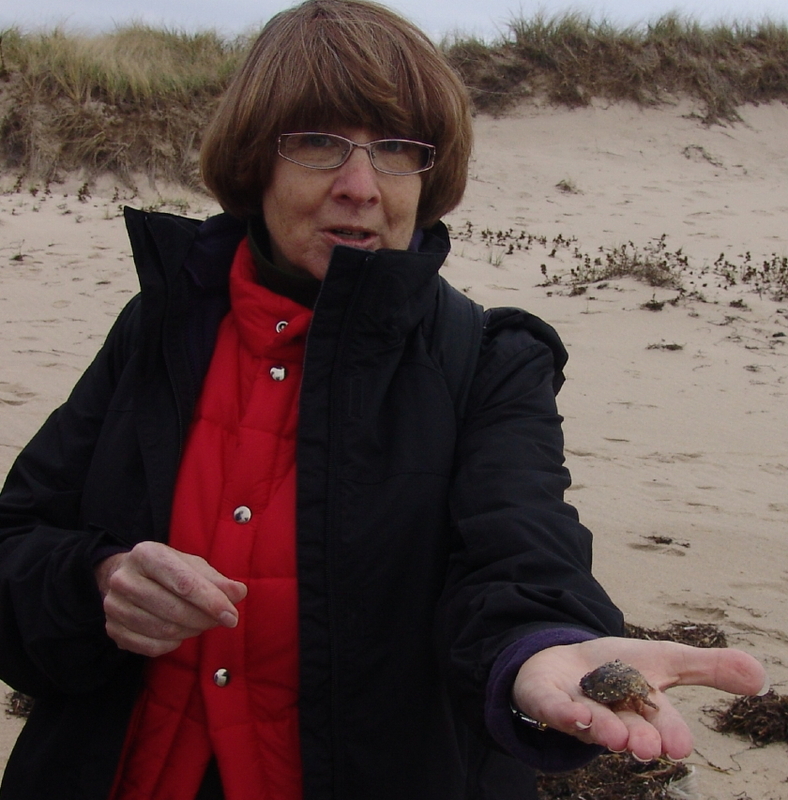 What’s That on the Beach? Under the storm-tossed wrack line, the place where seaweed, flotsam and jetsam accumulate with the tide, resides a museum of discoveries for the inquisitive explorer to investigate. 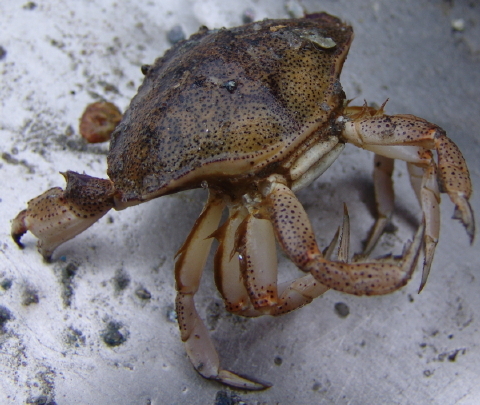 A soft-shelled rock crab, a bit lethargic from the cold, was excavated from the wrack. Recently molted, its shell was still soft to the touch and brought out stories about steaming bushels of Chesapeake Bay blue crabs and soft-shelled crab sandwiches. We saw another specimen of the Atlantic rock crab during our afternoon cruise in Wellfleet Bay. The captain had been dragging for quahogs and brought up a lonely crab that sat atop fishing gear in the stern of the boat. After photo-documenting this obliging specimen, we returned it to the bay. 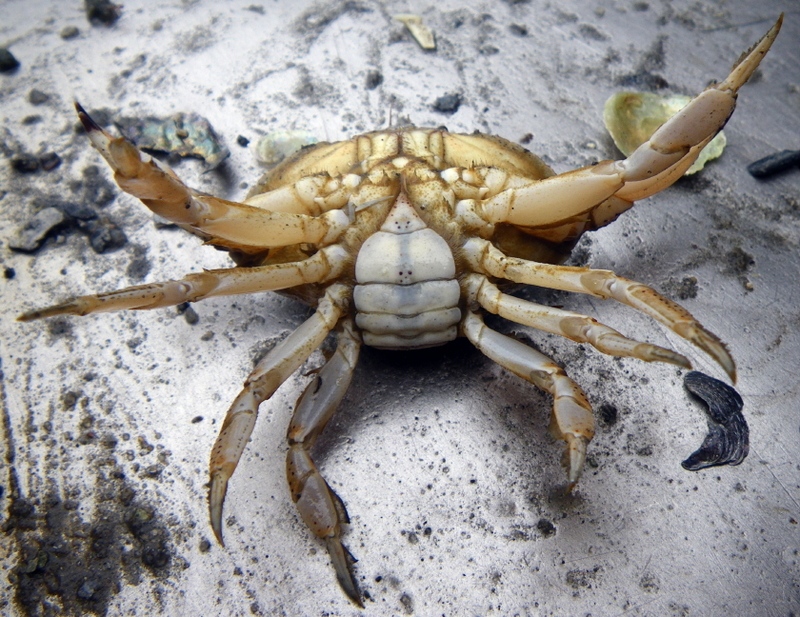 Each field school participant enjoyed the opportunity to examine the Atlantic rock crab before we tucked it safely back under the protective wrack. 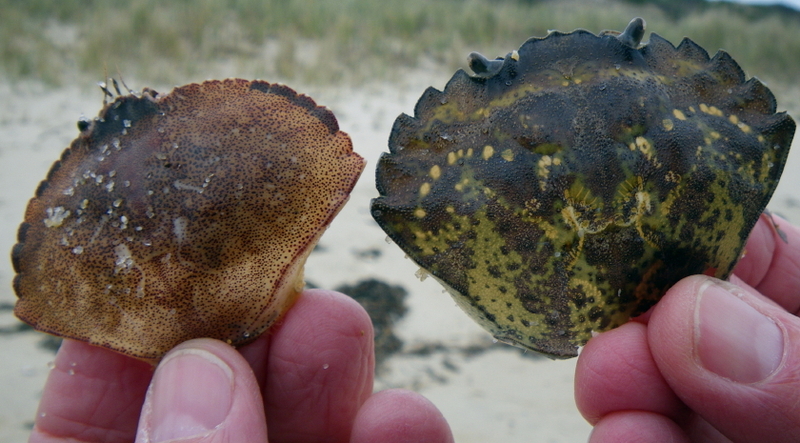 A bit further down the beach we discovered two molted crab shells that illustrated the differences between the Atlantic rock crab and a European bio-invader, the green crab (Carcinus maenus). And, yes, it is just as “mean” as the pronunciation of its scientific name might suggest. 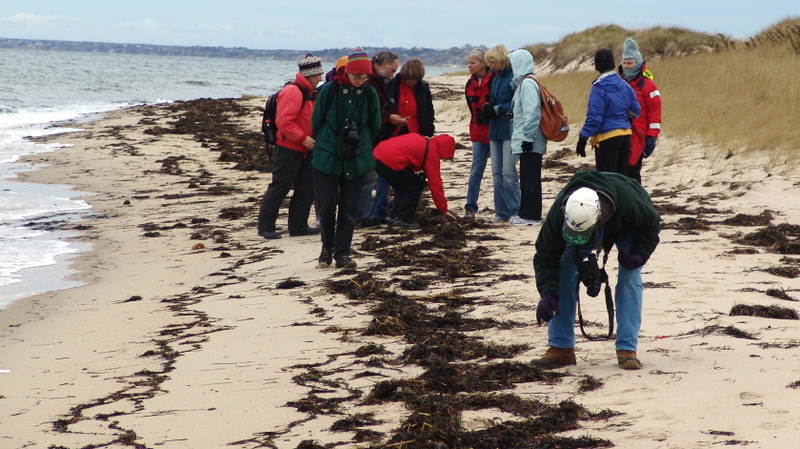 The blanketing wrack offered a hidden encyclopedia of coastal species, and everyone joined in the act, lifting, poking and prodding eel grass piles for discoveries. 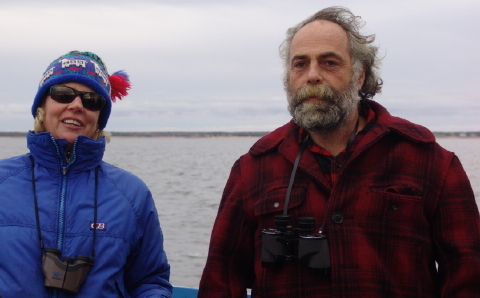 As new specimens arose, instructors Sue Wieber Nourse and Dennis Murley would cite their natural history, enriched with exotic tales of lore for each species. A blood ark appeared. 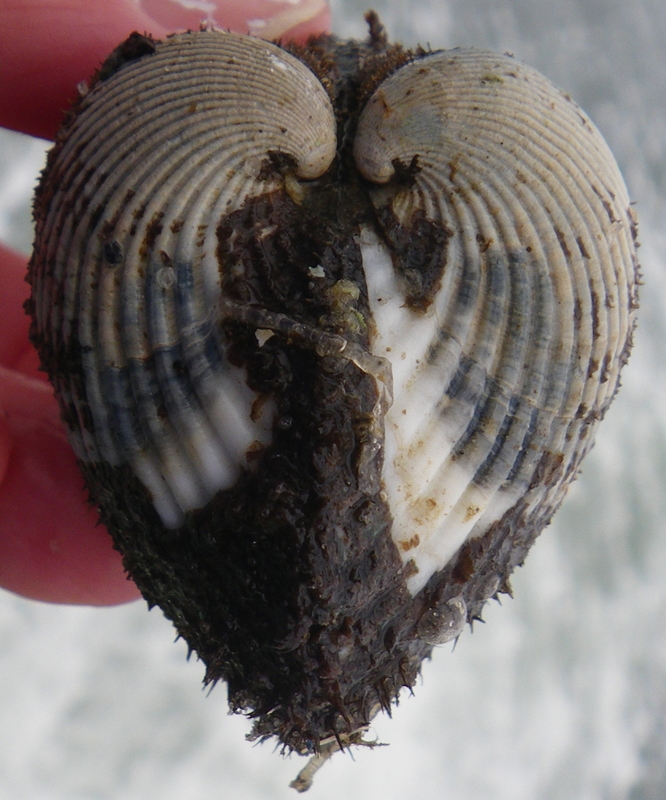 This interesting bivalve is one of the few mollusks that have red blood; hence the name. It sometimes goes by the title of Bloody Clam. Ironically, when viewed from this angle, the “Blood” Ark takes on a heart shape! Sue Wieber Nourse found “mermaid’s purses” mixed among the eel grass mat. The mermaid’s purse, also called the devil’s purse, is actually an egg casing for a skate. And so the morning progressed. From discovery to discovery this band of intrepid adventurers explored the wind-swept beach. 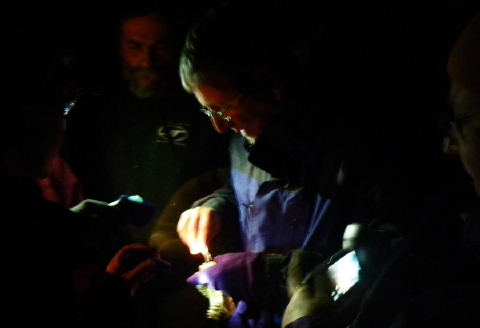 A decorator worm proved the next specimen. 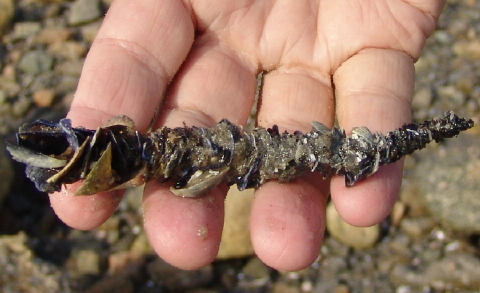 This invertebrate critter appears to adorn itself with every tiny bit of broken shell and debris that can be found along the shore. 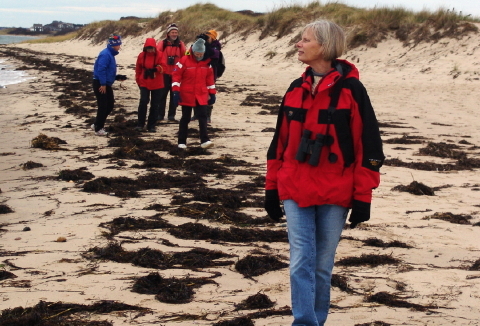 Dennis Murley stopped the group at one of several dead eider carcasses that we discovered along this stretch of beach. He talked about the research that was ongoing to determine the cause of these deaths, which considering the thousands upon thousands of eiders that occupy the bay at this time of the year, may be from multiple causes. 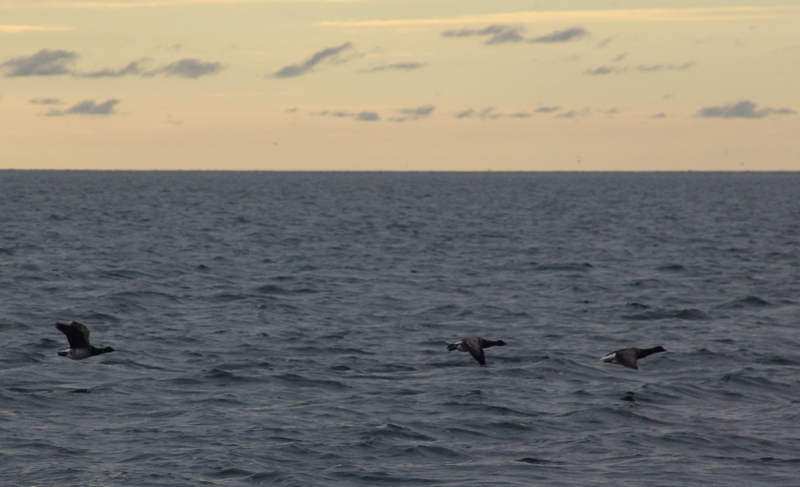 Several flocks of hundreds of eiders skimmed across the wave tops as we walked the beach. Research on this matter continues. 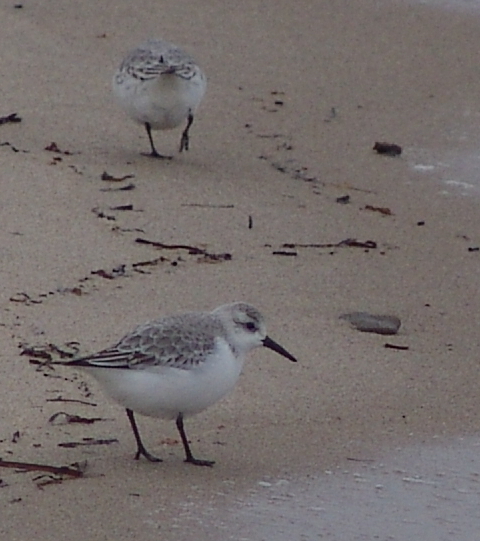 Tiny plump sanderlings worked the entire length of the beach from Duck Harbor to Great Island. They flitted along the shore a few feet in front of the group, working in the waves for morsels of food. 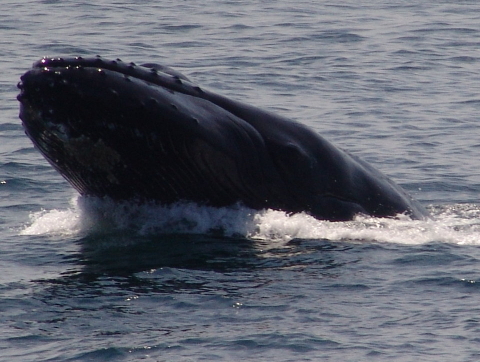 When we approached too closely, they’d take flight and work the beach behind us. Gulls of several varieties hunkered in the protective lee of towering coastal banks. On occasion, these apparently well fed birds waddled to the water and half-heartedly poked for something munchable. 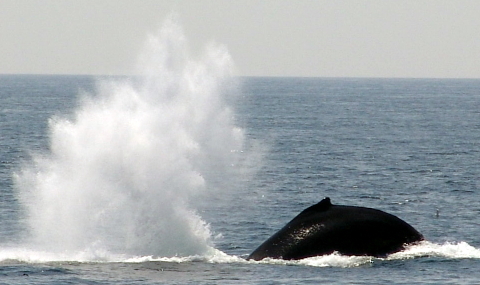 For the most part, though, they seemed to enjoy the spectacle of energetic humans plodding down the beach. 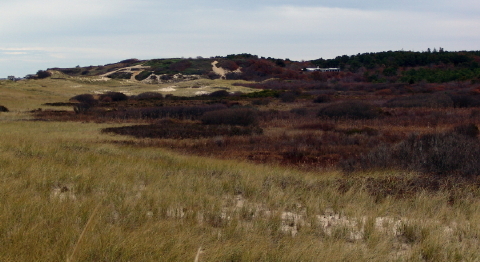 Those towering banks on the Outer Cape always remind me of the Egyptian pyramids with their appearance of resilience and permanence. Yet, coastal banks and dunes are actually the opposite of rigid pyramids. 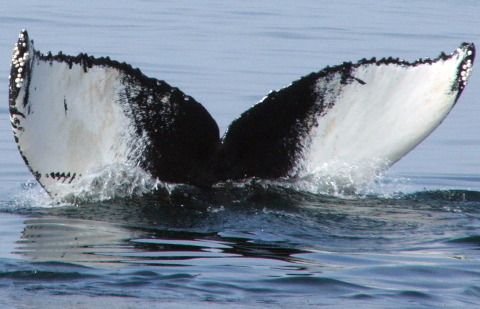 They maintain their permanence through resilience as a soft impact barrier to the relentless onslaught of wind and sea. 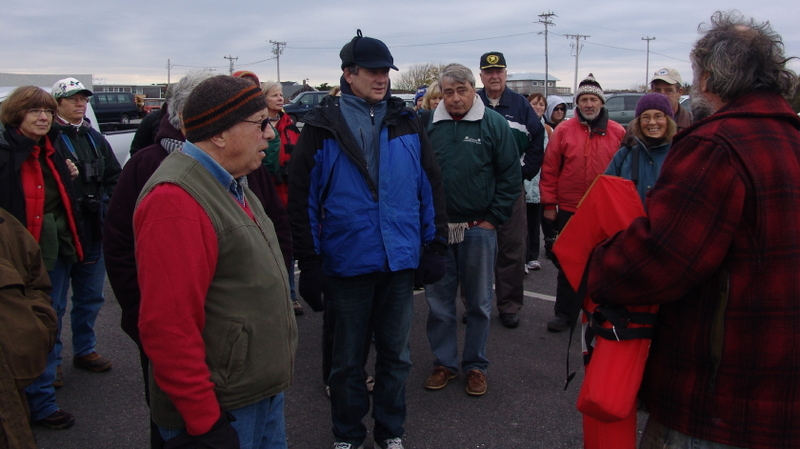 As Dennis noted to the group, the “angle of repose” remains constant. Sea and surf eat away at the bottom of the bank, and the top gradually falls to assume the same angle of repose as the leading edge of the bank moves slowly, constantly and inexorably inland. Resilience holds true; permanence is an illusion. And as if to underscore that point, the remnants of a coastal cottage lies destroyed in the advance of the sea and the retreat of the bank. Maybe a hundred feet seaward of the collapsed foundation lies the remains of well pipes that had plunged deeply into the aquifer to provide drinking water for this coastal cottage. Images serve as a clear reminder of the transitory nature of human imprint on the ever changing landscape of Outer Cape Cod. Created by the retreating Laurentide glacier 15,000 years in the past, the Cape will inevitably succumb to the advance. 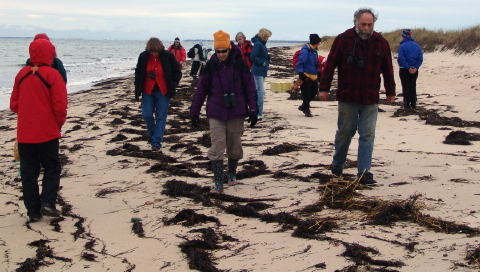 Doing our small part to undo some of the human impact on this fragile habitat, the team collected debris as we patrolled the beach from Duck Harbor to Great Island. 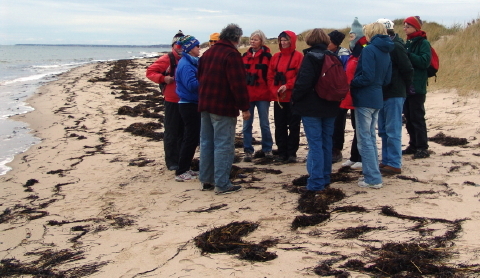 Turtle Journal cruised on the Naviator Saturday afternoon with participants of Mass Audubon’s Stranding Weekend Field School to spend quality time with hundreds of gray seals hauled out on the rising sand bars that used to be Billingsgate Island at the mouth of Wellfleet Harbor. 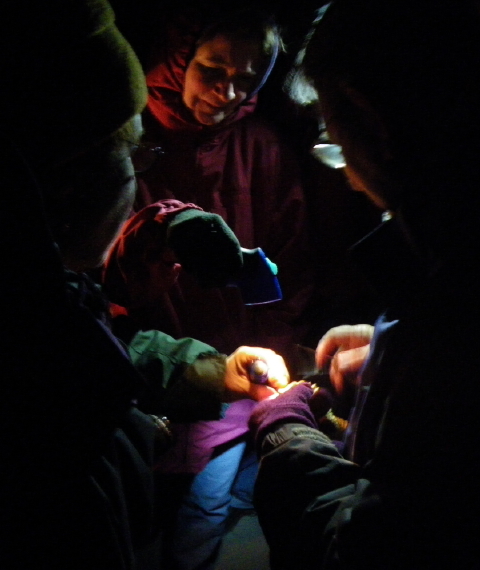 The most awe-inspiring, the most beautiful, the most powerful and the most dangerous aspect of sea turtle rescues is the night patrol, when gentle dunes are transformed by shadow and wind and tide into a dream-like world of surreal shapes and psychedelic colors. Daytime familiar vanishes; nighttime mystery appears. As westerly gales toss breakers against the beach, sound itself is altered and dominated by rumbles and crashes and whistles that flood the air. Friday night, participants in Mass Audubon’s Stranding Weekend, which was co-led by the Turtle Journal team, headed to Duck Harbor in northwest Wellfleet for their first sea turtle patrol. After a candlelight dinner in the Wellfleet Bay Wildlife Sanctuary, they learned about cold-stunned sea turtles and various other marine species that strand on bayside beaches in autumn. Now they were ready for their first field action. While no cold-stunned sea turtles were discovered, various critters were unmasked beneath the seaweed wrack. 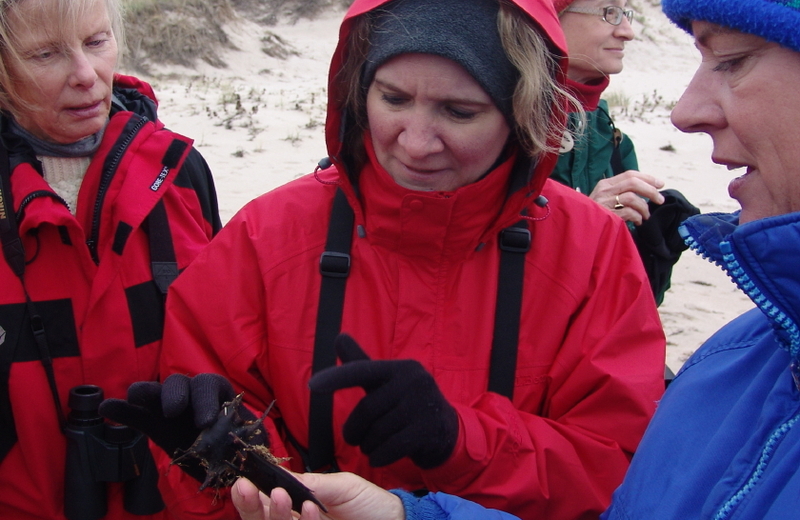 Sue Wieber Nourse found a horseshoe crab molt from a juvenile specimen that offered a perfect lesson plan on this important tidal species which has contributed so much to medical research and scientific discovery, including at least one Nobel prize. 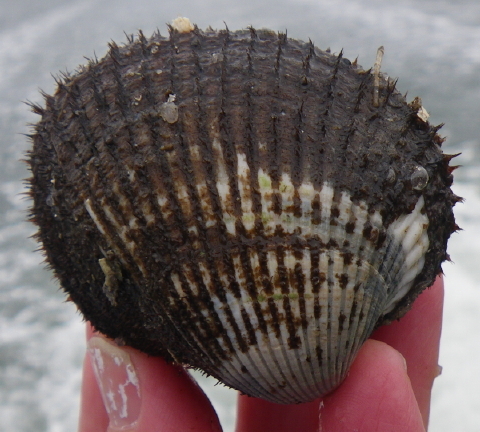 A channeled whelk casing opened another lesson as the group marched northward to the cadence of the pounding surf. 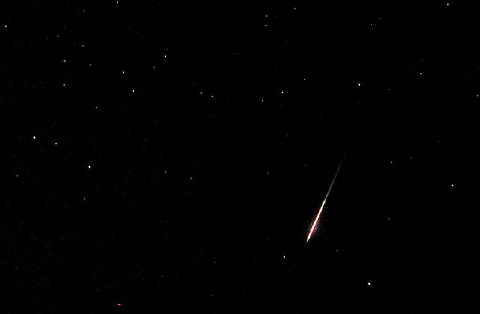 Nearly an hour later, as we gathered at Ryder Beach to review our discoveries, another magnificent shooting star exploded across the night sky as if to punctuate this unique moment we had all experienced on the darkened, windswept beaches of Outer Cape Cod. You are currently browsing the archives for the Marine Mammals category.